I'm quite lucky in that I am in a top floor flat, 1000ft above sea level on the hill to the south of Glasgow and the clyde valley, with a view out 3 windows facing east, south and west so I can follow the sun all day and use the time-lapses to show hours of action in minutes. I use the Android App - Droid Time-lapse Pro (there's also a free option but you get more settings for a few pounds) and usually set the capture rate from 1-2 frames per second for short videos of a few hours long, to catch chemtrails and HAARP ripples in more detail, or 2 to 4 frames per second if i'm shooting for longer periods like 6 hours or more. I was wondering if anyone else would like to take some time-lapses of the sunrise and sunset where they are, so we can compare what we're seeing as i've even seen arctic pictures of the sunset with the same wall of haze blocking it and signs of HAARP manipulated clouds, either the twisting and rotating sausage ones, the ripples of EM frequencies that leave patterns or the saucer shaped smooth clouds which remain static while other clouds move past. If anyone wants some tips just send me a message but i'm convinced that sunrise and sunset blocking is happening and it would be great to get a feel for what's going on elsewhere around the world. I live in western Canada, in Alberta and I have noticed the same thing here, the blocking in the early am and also in the evening. I have lived here my whole life and this part of the country was always known for it's clear blue sunny skies, even in winter. We had a huge flood here last spring and this year is going on records as one the coldest; we have to have our furnace on and it nearly July! On the regular, we have huge cloud formations, and ALOT or renticular and cumulous clouds. I noticed a marked increase in the actual spraying once I had posted in another forum that I had an awakening that was quite profound a couple of years ago now. They've definitely increased the frequency that they are spraying in my neck of the woods for sure; as a result the misty air in the mornings and evenings, and heavy clouding all through out the day. And the gull durned cell phone towers are going up all around my fair city as well (this is linked me thinks). kellsbells wrote: I live in western Canada, in Alberta and I have noticed the same thing here, the blocking in the early am and also in the evening. I have lived here my whole life and this part of the country was always known for it's clear blue sunny skies, even in winter. We had a huge flood here last spring and this year is going on records as one the coldest; we have to have our furnace on and it nearly July! On the regular, we have huge cloud formations, and ALOT or renticular and cumulous clouds. I noticed a marked increase in the actual spraying once I had posted in another forum that I had an awakening that was quite profound a couple of years ago now. They've definitely increased the frequency that they are spraying in my neck of the woods for sure; as a result the misty air in the mornings and evenings, and heavy clouding all through out the day. And the gull durned cell phone towers are going up all around my fair city as well (this is linked me thinks). Thanks for the update Kells, I suspected that this was happening elsewhere and i've been looking at some older photo's from around 2010 and can still see it. Even checking Arctic and Antarctic photo's shows the same sunrise and sunset SRM. Our general temperature is also a lot colder with the heating sometimes needing switched on at night, even right up to last month! On the days with few chemtrails the cloud cover and "offshore haze" (as the weather reporters like to call) it still manages to block every single sunset and the more I observe the sunrise it's the exact same, even on a rare sunny day like today in which the sky is fast filling up with chemtrails, chem-haze and clouds. From my observations i've seen those reticular clouds consistently appear under the sun and materialise up the way like they are being stacked. You'll also see a lot of the long, twisty and rotating gravity wave clouds which they can use to generate all of the rippled pattern clouds from. The technology they are using is frightening and it's linked into all of the cell phone towers you're seeing going up. You can read more about this "full spectrum dominance" here - viewtopic.php?f=4&t=767. Djchrismac wrote: Our general temperature is also a lot colder with the heating sometimes needing switched on at night, even right up to last month! On the days with few chemtrails the cloud cover and "offshore haze" (as the weather reporters like to call) it still manages to block every single sunset and the more I observe the sunrise it's the exact same, even on a rare sunny day like today in which the sky is fast filling up with chemtrails, chem-haze and clouds. Here is something to consider... if Larson's astronomy is correct and stellar evolution is backwards from what we are taught, then the solar combustion process is getting stronger--but the consequence is not necessarily "more heat," but a shift in the generated energy towards the ultraviolet. This is actually noticeable with the substantially higher levels of uV-B being measured in the last decade (that burning feel on your skin in direct sunlight, like you're being microwaved). This may also explain the whiter-looking sun, as yellow has a red/iR component and the blue-white we now see has more of the blue/uV spectrum. When I was a kid, the sun was corn-yellow against a deep, blue sky. You could even look directly at it for a few seconds, without any permanent damage. These days, almost white and with only a slight glance, your retinas burst into flames. Ultraviolet, though hot on the skin and gives you a sunburn, is NOT HEAT--heat is the other end of the spectrum, infrared, that the energy output of the sun is moving away from. Technically, the sun is getting colder, not hotter, based on what we consider to be heating wavelengths. That would mean the cloud shield is not blocking heat from the sun, but trapping heat against the Earth, like a blanket. I've noticed that they spray in the morning, and by evening there is a fine haze everywhere--a nice, chemical blanket, warm and cozy for the night. 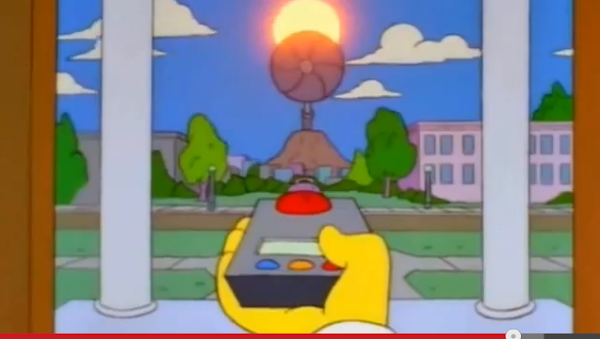 That would explain why I havent seen a single sunset in 3 months. The patterns in the sky are obvious, always spraying easterly towards the Sun late PM. I have also noticed the haze everywhere as well; thanks this all makes sense. We're also having lots of wind so hopefully that's blowing some of the shyt elsewhere - somewhere benign if brother wind would be so kind . When the sun does manage a few moments of unblocked reprieve however, I too have noticed it is definitely whiter looking and hotter feeling than it used to be. Thanks for all the great info guys . Although they do also seem to be purposefully keeping the planet very cold, possibly hiding something in the arctic.... 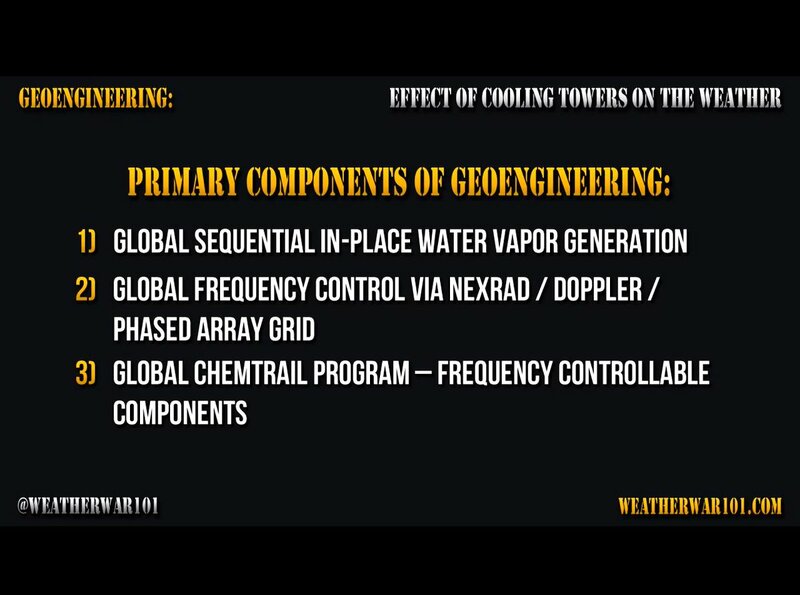 I suspect that due to their being "no natural weather" any more, that they are just continually trying to cover up for the destruction of the natural weather cycles and massive doses of EM frequencies and doppler pulsed microwaves we now get bombarded with on a daily basis. Lozion wrote: That would explain why I havent seen a single sunset in 3 months. The patterns in the sky are obvious, always spraying easterly towards the Sun late PM. I haven't seen an unobstructed sunrise or sunset after 3 years of recording the sky every day. kellsbells wrote: I have also noticed the haze everywhere as well; thanks this all makes sense. We're also having lots of wind so hopefully that's blowing some of the shyt elsewhere - somewhere benign if brother wind would be so kind . When the sun does manage a few moments of unblocked reprieve however, I too have noticed it is definitely whiter looking and hotter feeling than it used to be. Thanks for all the great info guys . You're welcome, although i'm not sure "great" is the correct word to use in this situation! Yesterday was a perfect example... http://scottishchemtrails.blogspot.co.u ... asgow.html as soon as the sun wasn't covered a fresh new chemtrail appeared in front of it to help top up the ionized atmosphere so the doppler pulses can manipulate the chemtrail nano-particle/water vapour mix of clouds to keep the sun blocked. 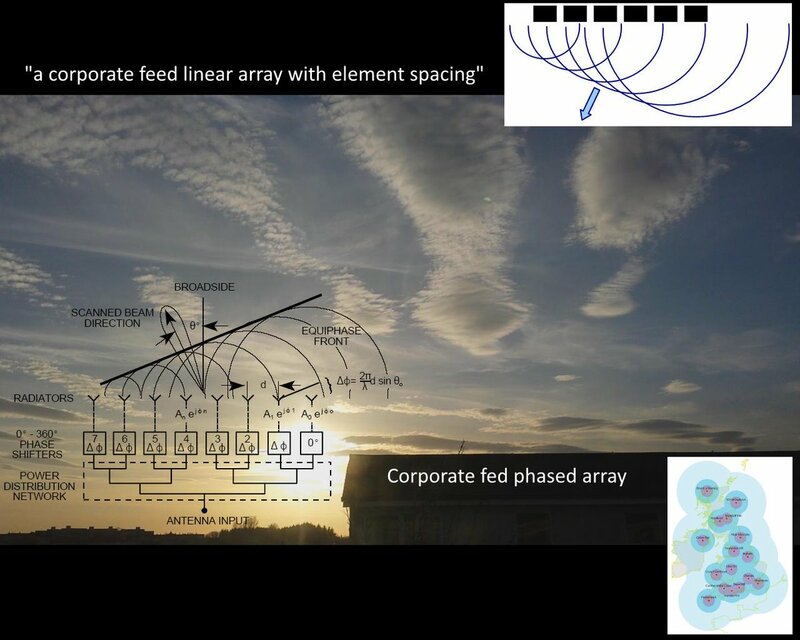 Along with WW101 i'm also being attacked on social media by the psyop gatekeepers (who are the controlled opposition of the geoengineering activists, much like the 9/11 truth movement splitting in two) since I started supporting his research about the NEXRAD/Doppler connection and no natural weather. Along with the RS angle from the Daniel papers it is still the only research that matches everything i've been recording, especially in my time-lapses.